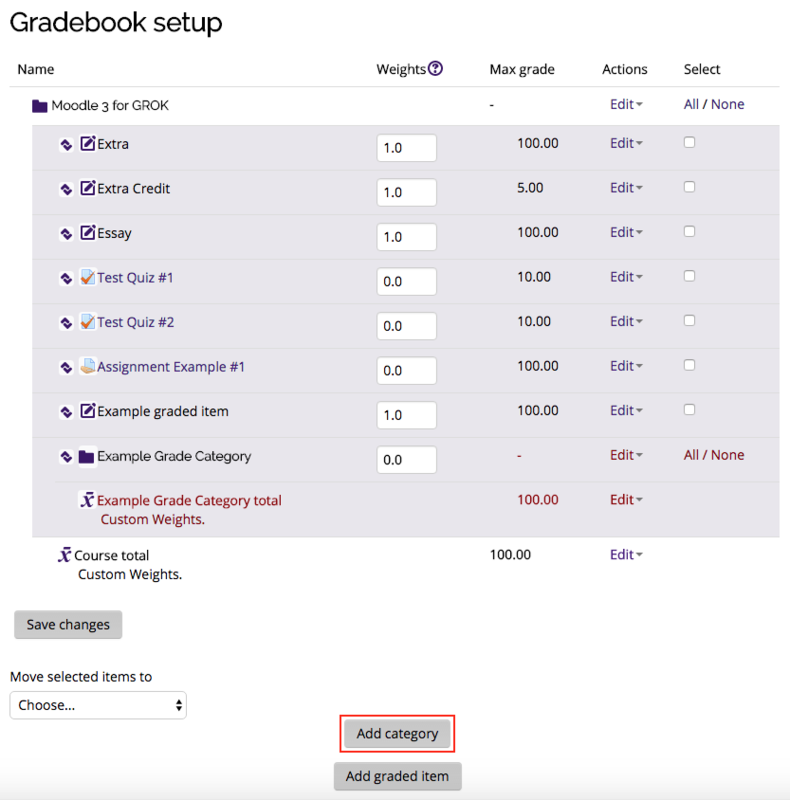 Gradebook categories allow you to group related graded items together so that you can perform such functions as dropping a low grade or setting a weight or percentage for a group of items. Each category must contain at least one graded item. 2. 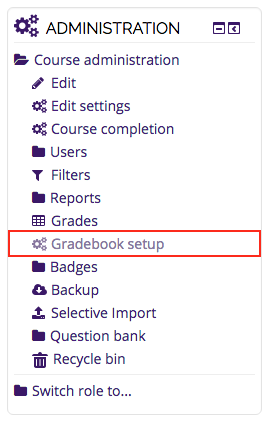 In Gradebook Setup, click on the Add Category button at the bottom of the page. 3. Type a Name for the category. 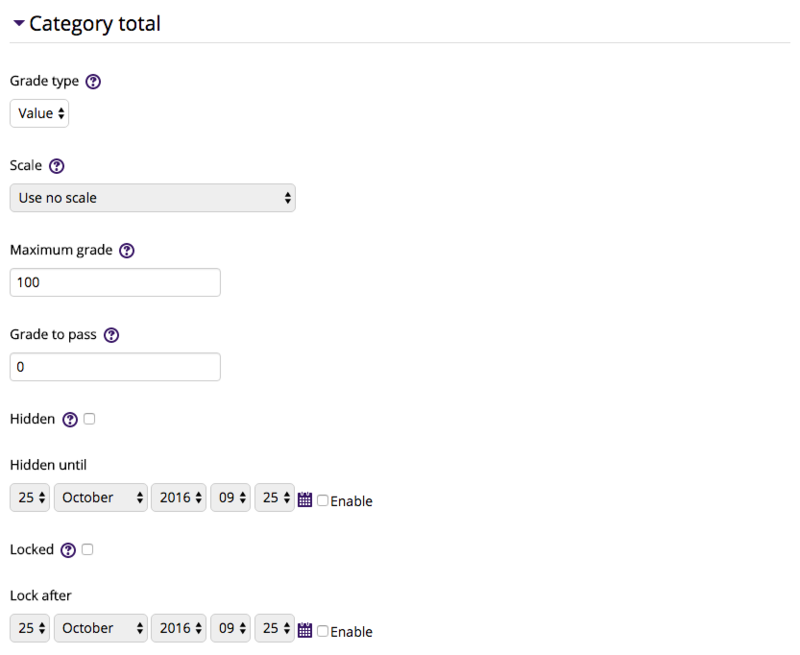 If you wish to drop a certain number of low grades, or retain a certain number of high grades, you can set this option. These options are mutually exclusive and only one can be set for a category. Also, you may set a Maximum Grade value for the category. The default is 100. This is only important if you are using the Weight by Points aggregation method for your overall course category. If you are using the Natural method, the category Max Grade will be determined by the sum of the items that you later place inside the category. Make sure to click the Save Changes button at the bottom. 4. 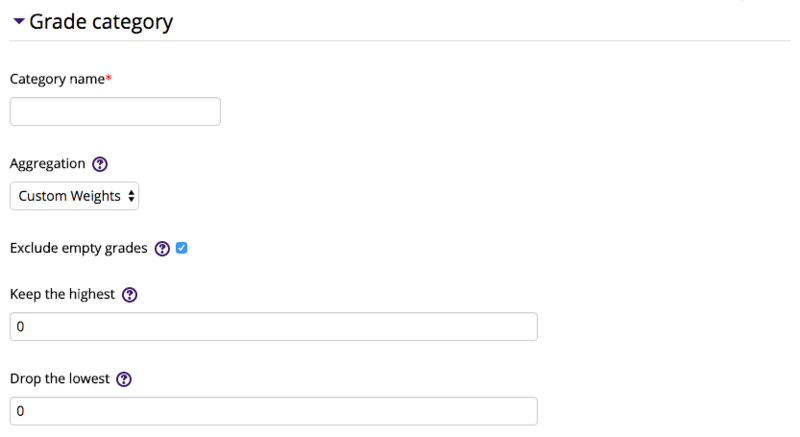 When you return to the Gradebook Setup, you will see the new category listed on the table. If you are using the Custom Weights aggregation method, you can set the weight for the category in the table of the Simple View. The default weight is zero, which will prevent the category from counting in the final grade total until a higher weight value is entered. Click Save Changes.